In the past years, I have always hit up the gym later in the day. This semester, however, I decided to start running in the mornings. Right after I wake up, I head over to the DOW for about forty minutes. I’ve noticed some differences compared to my afternoon workouts. Although I notice I’m hungrier, and have a little less energy before running, I have more energy for the rest of the day. I also have a bit of a better mood, and fall asleep easier at night. I wanted to see if there were any scientific benefits to running in the morning. I talked to Dr. Heather Betz, assistant professor of exercise science. She shared some insight on the relationship between health and working out. Betz says there is no scientific difference from working out during various times of the day. All the results and feelings are based on the individual. Betz explained how night workouts can increase energy levels which could lead to having trouble falling asleep. But it can also be a good thing in mornings and early afternoons. But what is important is that one actually does exercise. 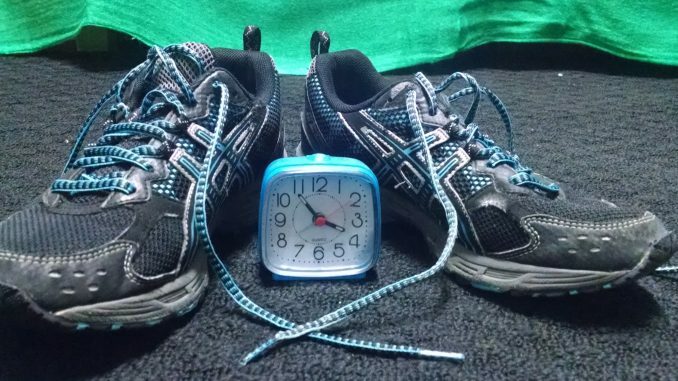 The time of day is less important than the time spent exercising. According to a 2010 Web MD statistic, about 63% of american adults are overweight or obese. Many children and teens have poor fitness records as well. This scheduling is more flexible so people can choose how they plan their workout routines. I use mine to jog most days of the week. I now consider myself a morning runner, and I believe everyone can find a time that is best for them.